Pros: My under eye area is quite dry, where I do have a lot of smile lines. 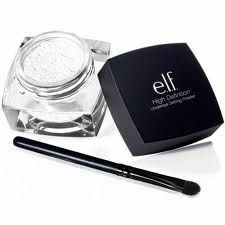 Powders tend to dry out my under eyes more and accentuate my extreme dark circles and fine lines. However this product does a great job of not making my concealer look caky and brightening the area. Cons: The product provides no coverage. This however suits me fine as I use quite a bit of concealer due to darkness. Obvious sparkles are seen in the product, which do disappear when applied to the skin, however sometimes do linger. Do not count on the brush included to apply the product. The brush is not ideal. Australis is a brand that clearly states that they are “100% cruelty free” where they are accredited on the ‘Choose Cruelty Free List’. 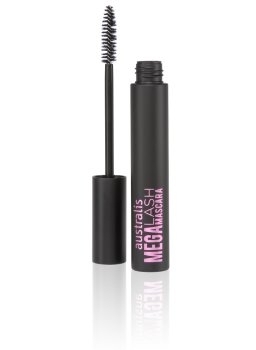 Pros – The mascara did a good job of separating my lashes. If it didn’t sting my eyes I would keep it around to chuck it on for an extreme ‘natural’ look. Cons – I have quite long lashes to being with, where usually it isn’t difficult to reach maximum impact quickly. The mascara had no impact on my lashes in regards to volume and length. My lashes practically looked like they did without mascara, only slightly more separated, darker and defined. The formula stung my eyes. I have never struggled with sensitivity in regards to eye products. I found it quite strange but did try it out a couple of times to see if it was just the day, unfortunately the sensitivity continued. Would I repurchase? No. It simply did not work for me, that doesn’t necessarily mean that it won’t work for you.